Click on the Patreon icon — pledging takes only a minute. Every amount, from $1 a month, allows my work to thrive. Thank you for supporting my art, life, and World Dharma. 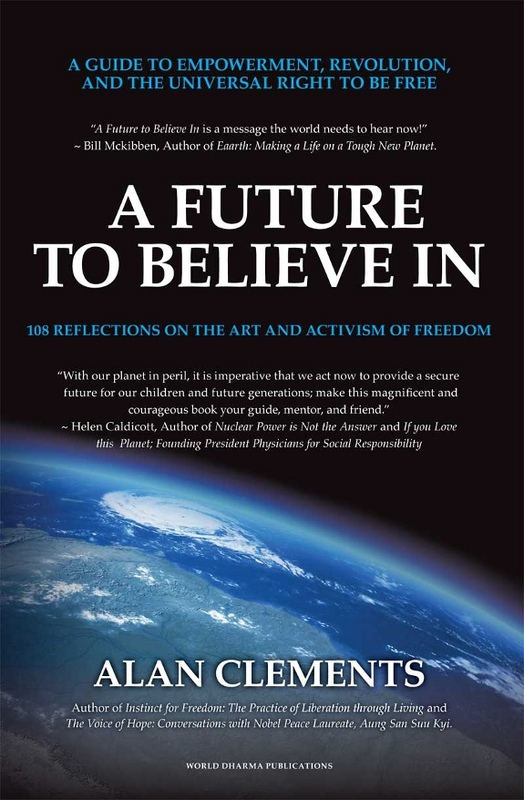 After four years in creation, the founder of World Dharma, Alan Clements, a former Buddhist monk, human rights activist, and performing artist, presents a visionary new book – a 268 page treasury of insights, both personal and planetary. More about the book..